Hi Sharks, take a look at the events happening this month! 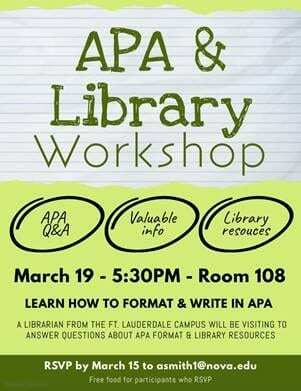 A librarian from the Ft. Lauderdale Campus will visit to answer questions about library resources and review APA format. Please RSVP to asmith1@nova.edu by March 15. Visit www.actabuse.com for more information. Presented by Jayme Hodges from the Lee Health Behavioral Health Department! Lunch will be served, please RSVP to asmith1@nova.edu by March 22. 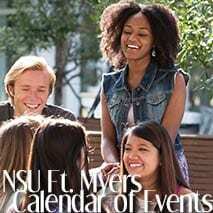 This year the NSU Ft. Myers Campus will be participating in Relay for Life of Greater Lee County! The Relay For Life movement is the world’s largest fundraising event to save lives from cancer. At Relay For Life events, we celebrate people who have battled cancer, remember loved ones lost, and take action to help create a world free from the pain and suffering of cancer. Various shifts will be made available throughout the day once you sign up for them team! Theme: Passport to a Cure. We will be representing the country of Denmark. 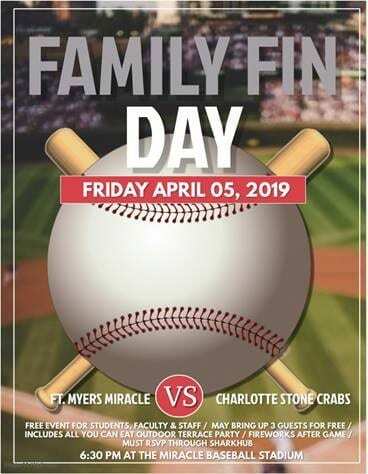 If you cannot attend, you can still join the team and fundraise! All students who sign up and participate and/or fundraise will also receive a free NSU/ Relay for Life t-shirt! If you raise $100 you will also receive a t-shirt from the organization. 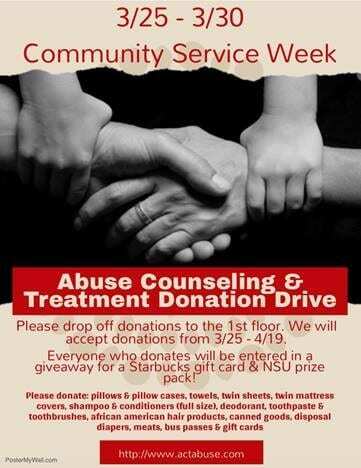 Please reach out to me or our Team Captain, Payton Brosche at pb895@mynsu.nova.edu if you have any questions! This is not commencement. Class Celebration is a reception to celebrate and recognize all graduates of the Ft. Myers Campus. All degree, programs, online and onsite, are welcome! A link to RSVP will be sent out next month.